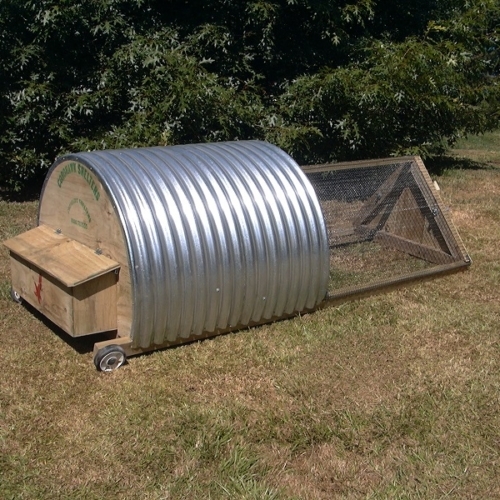 The chicken coops consist of half round shelters with an A-frame run attached to the front. The shelter has two perches on the inside with a nesting box attached to the back for collecting eggs and cleaning. The feeding area is enclosed with netting on the A-frame. A door on the front lets the birds in and/or out and allows for changing water and food. 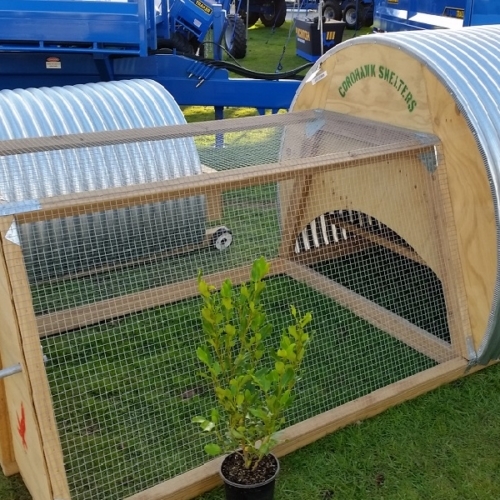 There is a handle on the front to lift the coop on to it’s wheels, positioned on the back, to enable it to be shifted to new/clean grass. 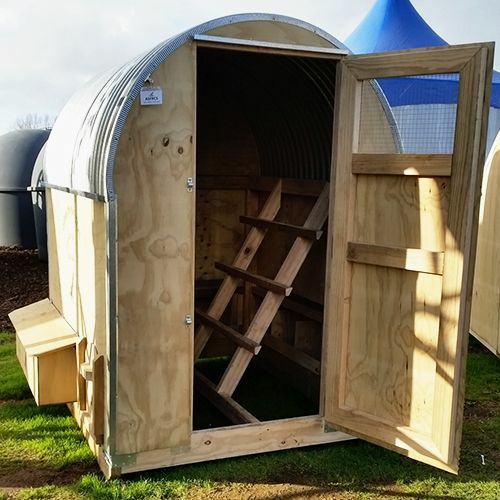 We have two sizes available, the large coop for up to 12 birds and the smaller for up to 8 birds. We can make any alterations or additions that you may see necessary. We have made several larger versions to cater for bigger numbers and breeders who have specific requirements – photos are available on enquiry.